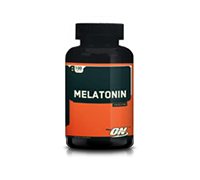 Melatonin may play an essential role in sleeping, disorders, depression, and immune system deficiencies. As light inhibits its production, and darkness stimulates it, melatonin regulates the body's internal clock. Double blind research shows that this hormone helps people sleep, shortens the number of awakenings in the night, and improves the quality of sleep. It is also very useful in treating jet lag, as it promotes quicker recovery from that "out of it" stage one may experience after extended periods of flight. Research has also shown that having enough melatonin exhibits positive psychological benefits on a person's mood, while a lack of melatonin corresponds to anxiety, fatigue, and hostility. Melatonin has also been investigated for its anti-aging potential.